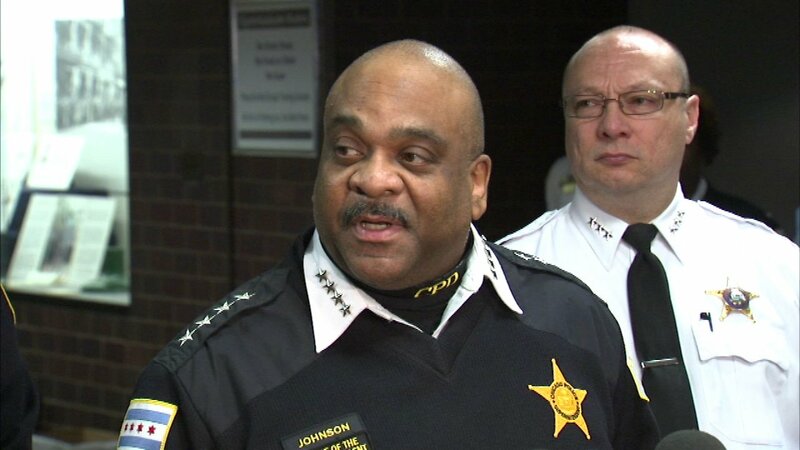 CHICAGO (WLS) -- While he was vague about the timing of his upcoming kidney transplant in an earlier press conference, Chicago Police Superintendent Eddie Johnson sent a letter to all CPD officers saying he will undergo surgery Wednesday, Aug. 30. In the letter obtained by ABC7 Eyewitness News, Johnson revealed his son had been selected as a kidney donor and had also recently began the application process to become a Chicago police officer himself. Johnson says in the letter he will take a brief medical leave beginning Aug. 30, and that First Deputy Superintendent Kevin Navarro will step in to lead the department during that time. "In my absence, I ask that you continue to make residents of Chicago proud through the professionalism, distinction, and sacrifice you make every day in service to this city," he wrote. Johnson revealed he was on the waiting list for a kidney transplant after treating a condition for more than 30 years in January, when he fell ill at a press conference with the mayor on new CPD violence prevention tactics.